Born in Kettering Hospital, Trevor grew up in Wellingborough, and was the younger brother of another former Diamond, Richard Bailey. After playing representative games as a youngster for the Northants FA, he was signed up by Cambridge United in 195. He went on to play 146 games, scoring 46 goals before a big money move to Leicester City in 2000 for £1.3m which saw him as a replacement for Emile Heskey. He made one appearance for the England Under-21 side in May 2001, before electing to play at full International level for Jamaica, and went on to gain 2 caps. In over four years with the Foxes however, he found himself on the bench more often than not, and he went on numerous loan deals in order to play first team football. He played for Crystal Palace, Norwich City, West Bromwich Albion and Gillingham, before Brian Talbot brought him to Nene Park on 12 November 2003 initially for one month, but later extended by a further month. After just 6 appearances, and a single goal at Port Vale, Trevor returned to Leicester, making further loans to Brighton & Hove Albion and Northampton Town He made a permanent move to the Cobblers in January 2005, but he stay was short lived and he joined Coventry City after just a few weeks. In the summer of 2006, he was released and joined Peterborough United on a three year deal. He played over 50 games for the Posh, and made several loan moves during his stay including Watford, Swindon Town, Boston United and Walsall. 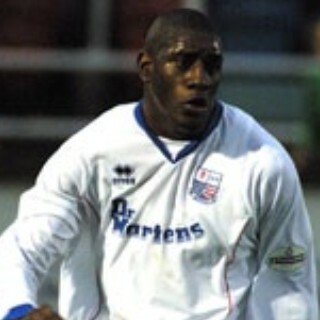 On 1 August 2007, Trevor joined Hereford United for a single season. The 2008/2009 season saw him play for Gainsborough Trinity, Northwich Victoria, Hednesford Town, Wellingborough Town and Kidsgrove Athletic. His nomadic existence continued during 2009/2010. He started at Tamworth, before continuing with Harrogate Town, Woking, Bedlington Terriers, Wroxham and Morpeth Town. On 20 September 2010, he took over as player/manager at Northern League Second Division side Morpeth Town, but left to join Northern Alliance Premier side Seaton Delaval Amateurs on 2 March 2012. During the summer of 2012, he was offered the post of assistant manager with the club. He has since retired from the game.